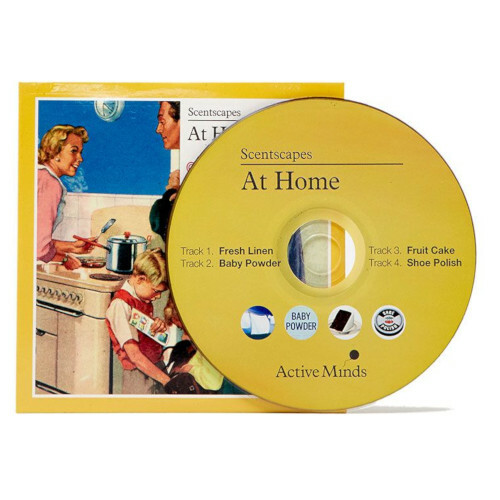 Scentscape® – At Home pack has been designed to stimulate everyday memories in the person living with dementia, to help support the experience of being in the home. 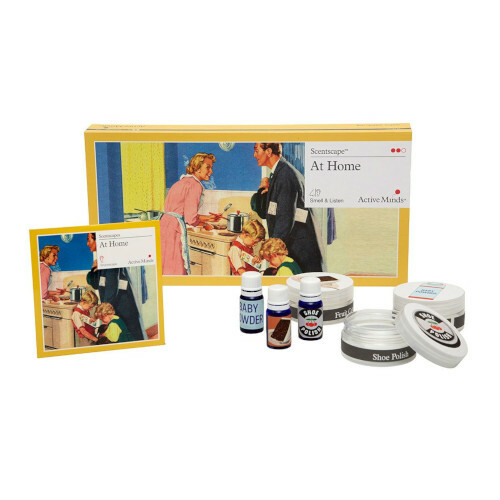 The scents baby powder, clean linen and a freshly baked fruit cake provide an olfactory sensory experience and combine with beautifully crafted sounds reminiscent of a busy and happy household to help someone relax and feel…At Home! Approx. 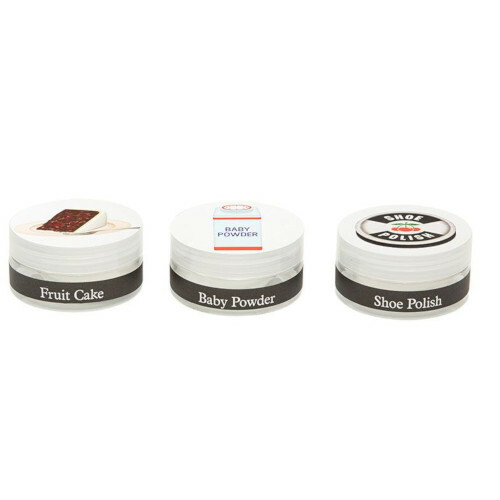 60 sessions if product usage guide is followed. 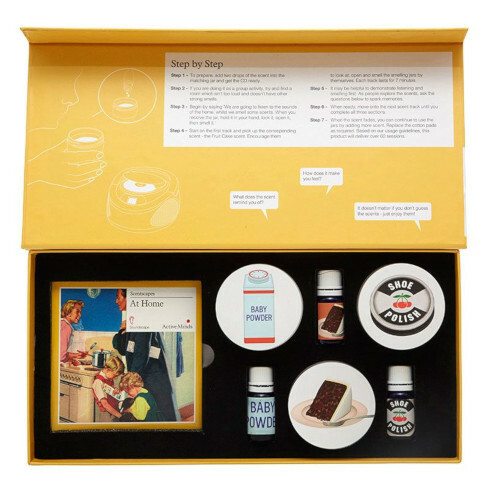 For this combined auditory and olfactory sensory activity play the CD with its three different sounds, and as the particular sound is played, place 2-3 drops of the matching scent on cotton pads in the smelling jar and have the participant (s) smell the scent . Can be done as a one to one sensory activity or in a small group with people living with dementia. 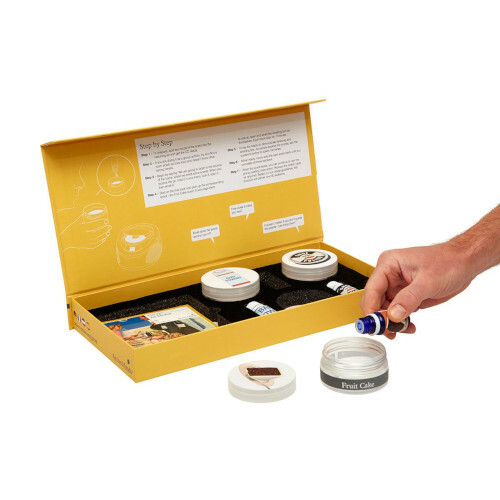 Each Scentscape® pack comes with three scents, three smelling jars and a 20min CD with specific sounds of a particular theme. The CD is split into 3 different sections which relate to the three different scents.